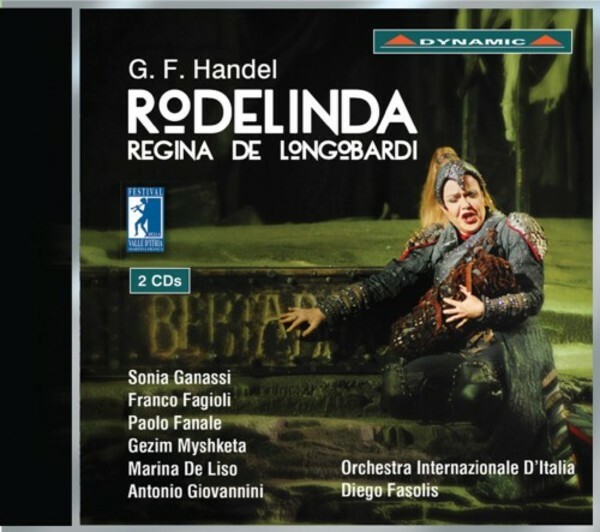 As with the majority of Handel’s stage works, Rodelinda is composed in a purely Italian style. The libretto was adapted by Nicola Haym from a previous version by Antonio Salvi. In line with the norms for Italian opera, it consists of solo da capo arias interspersed with secco recitatives and, occasionally, with accompanied ones. The undoubted protagonist of the opera is Rodelinda, for whom the composer wrote eight of the original score’s thirty-two numbers, as well as the duet with Bertarido. Rodelinda’s characterisation is a masterpiece of psychological and musical insight, beginning with the entrance aria, Ho perduto il caro sposo. This is a doleful piece, rich in expressive chromaticism and almost completely devoid of coloratura passages, in which the Lombard queen appears prey to the deepest dejection. No less brilliant and persuasive is the musical characterisation of the exiled king Bertarido, whose courage is, unusually, extolled more in recitatives than in arias. Bertarido is entrusted with the beautiful accompanied recitative in Act One, Pompe vane di morte, one the finest and most moving passages of the entire opera, which introduces the melancholy aria Dove sei, amato bene. The other characters also make significant contributions to the interest and value of this production. The cast features Sonia Ganassi in the title role and countertenor Franco Fagioli in the demanding role of Bertarido, written by Handel for the legendary castrato Senesino. The performance is conducted by the highly respected baroque music specialist Diego Fasolis.